• Incubators are sturdy double walled units. • Inner chamber made of S.S and outer made of Mild Steel with Powder coating. 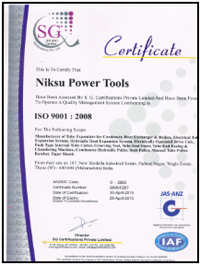 • Heating elements are made of high grade chrome plated nicrome wire. • Temp range 5 degree c Above ambient to 60 degree C and Accuracy:+- 2 degree c.
• Air Ventilations are provided on the top of the unit to remove the hot gases / fumes. 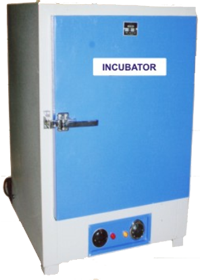 • In Lab type incubators heaters are placed in the bottom side of the unit.